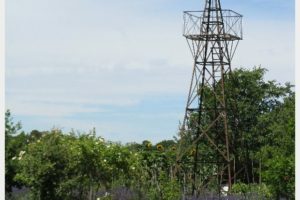 Paris is one of the more expensive cities in the world, particularly for those of us like me with a husband with a stomach that is like a bottomless pit and two little ones that seem to need constant nourishment and bribes to continue on without complaint. Eating cheaply in Paris can be tough if you don’t know where to look. With a little creativity, eating cheaply in Paris is completely doable (and I dare say enjoyable) if you shift your thinking. The more you can act like a local and eat picnics in the park and hit the local markets, the better your wallet will be! Many travel blogs that write about eating cheaply in Paris set a baseline of 10-20 euros for a cheap lunch or dinner. This might be fine for a single budget traveler or couple or someone traveling with friends, but this is not budget friendly for a family. Frankly, if we each spent 10 or 20 euros every time we ate out, our Paris trip cost would escape the boundaries of our budget pretty quickly. 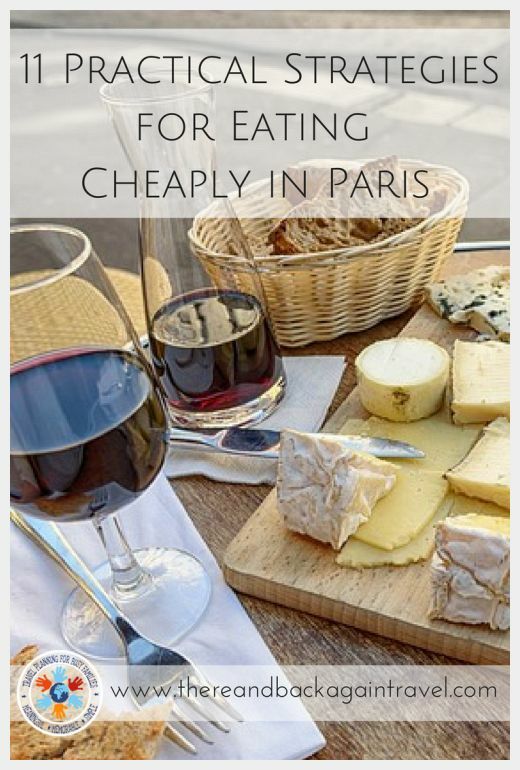 Below you will find my best suggestions for eating cheaply in Paris under 10 euros/meal/person. How Much do Meals in Paris Cost? A basic, sit down lunch in a simple restaurant in Paris (sandwich, drink, pastry) seemed to average around $10. A value meal at the McDo (what the French affectionately call the Mcdonald’s) ran around $8. The dinner that we ate at a basic sidewalk cafe (like the ones that you always see in the movies, located in a non-touristy area) cost approximately $25 each for three courses (I had french onion soup, coq au vin and creme brulee, and it was worth every penny). Sit down dinners at nicer restaurants or in more touristy areas would of course cost more. Many restaurants in Paris offer a Prix Fixe lunch. This is a set menu that includes a starter, main course and dessert. This can cost between 14 and 25 euros, but if you choose your restaurant wisely, this little splurge will be a meal to remember. Look for the safe looking restaurants with English menu front and center and other tourists eating there and head the other way! Get at least a block or two away from major tourist attractions and look for less touristy looking streets and alleyways. When you find a restaurant that has no English menu, with lots of people speaking French that makes you feel like you are a little out of our comfort zone, you are heading in the right direction. You can also ask your hosts or your hotel for suggestions. We have found that interacting with local people and asking for their suggestions has given us some of the most fulfilling dining experiences while traveling! One of the great blessings in Paris (and indeed the whole of France) is the cheap, abundant goodness of fresh baguettes, cheese and wine. This quickly became our favorite cheap lunch in Paris. You can buy premade sandwiches at almost any bakery for 5-7 euros. If you are in a hurry, this is a great option. If you scored some fruit from the market or from breakfast, you might be able to get buy with splitting a sandwich between two people. Even at this level, spending this much for lunch every day for 3-4 of us would not have fit into our budget, so this is what we figured out. A baguette from any boulangerie (bakery) in Paris should average around $1.20 (enough to make 2-3 sandwiches). Bottles of decent french table wine in the grocery store (which always seems to be the cheapest place to buy alcohol) ran around $5-$7. Keep in mind that the cheap wine in France is equivalent to a $15-$20 bottle of wine here in the US…the quality is much higher. We bought a HUGE wheel of Brie cheese at the store for about $3 (this amount of Brie at home would have cost at least twice that much.) Cheese all over France seemed to be about 1/3 the cost of what we pay at home at the discount warehouse store. Come prepared to include many great, fresh varieties of cheese into your daily diet. Put the three together, and you have some cheap, filling calories and a great picnic lunch (or dinner!) to eat in one of France’s beautiful parks! When you are want to switch up your baguette and cheese routine, crepes are a must try food in Paris! They are cheap and can be savory (think ham and cheese) or sweet (think Nutella and banana….yum!) depending on your mood. For 3-7 euros you can fill up on this French food staple. Indulging in local baguettes, wine and cheese is one of the easiest ways to begin eating cheaply in Paris. Street food is generally cheap everywhere in the world, and the same is true in Paris, particularly in the Latin Quarter. 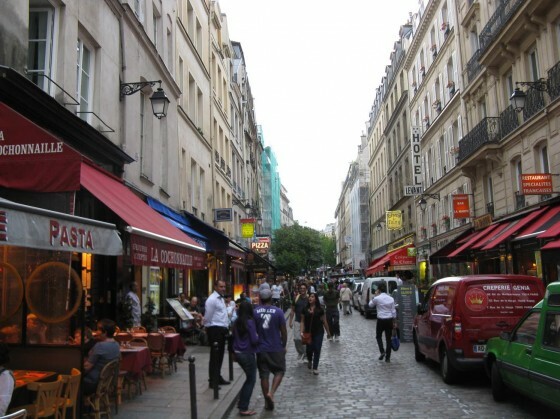 The Latin Quarter is a diverse neighborhood just across the Seine river from Notre Dame. This neighborhood contains a lot of ethnic restaurants that have inexpensive options for food. We dined more than once on kebab (pita sandwiches with roasted chicken or lamb, lettuce, onion and a delicious garlic sauce) and fries for about $7 each. These were enough to fill up even the men in the group. The cost might have gone up a smidge since we were there a few years ago, but I am sure it is still one of the cheapest areas to eat in in Paris. The fries and kebabs, while filling, did get old relatively quickly because of their high grease content. I also saw other budget finds to be had in various Vietnamese, Thai, Chinese restaurants as well as other ethnic variations. The Latin Quarter in Paris is a haven for budget travelers. This area has a lot of ethnic restaurants and small cafes offering budget friendly fare. Managing a hearty, man sized breakfast seemed to be a harder task in Paris. There are restaurants in touristy areas that advertise “American” breakfast..usually for about $10/person, which is generally out of our budget. Hubby can’t survive on pastries and yogurt until lunch. When breakfast is too fou-fou, Mcdonalds has become his go to for a quick, filling “man” breakfast. When we visited, the typical American breakfast at Mcdonalds in Paris (sandwich, hash browns, coffee) was non existent. It was replaced by the standard French breakfast of pastry and espresso. If pastries and espresso were all that we could find we would roll with it and round it out with some fruit and yogurt from the market. Chocolate croissants, while not particular nutritionally sound, do have a lot of calories to keep you going while you walk around Paris. Not an ideal situation for hungry men, but workable. Pastries and espresso were cheap and abundant. These usually cost about 3 euros or less for a pastry and shot of espresso, and about 1 euro for a pastry. Boullion Chartier: A Paris favorite of locals and tourists alike. Good, solid French cuisine at reasonable prices in an elegant, historic dining room. Chez Papa: A small family run local chain (they have a few restaurants in Paris), this casual bistro offers simple foods and French favorites done well. Foyer de la Madeleine: This restaurant seems to be based on an interesting concept. You pay a membership fee the first time that you visit (7 euros) and you get discounted meals when you return. Meals include an entrée, main dish and cheese or dessert (not beverages) and cost 9 euros. 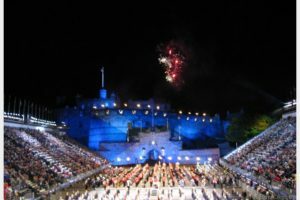 The restaurant is housed in a fascinating looking historic building…it would be worth a visit just to see this! My husband came up with another slick idea for eating cheaply in Paris. He brought protein powder from home and carried a couple packets with us during the day. Because he generally starts getting hungry before the rest of us, he would buy a small carton of milk from the market and mix up a protein shake to help meet his nutritional needs. This would help get him by without resorting to junk food until we were all ready to stop and eat. Many protein powders also have some extra nutrients to help balance out your travel diet. Booking a hotel that includes breakfast in the price is always an easy way to cut your meal costs down. Filling up on the typical European breakfast of meats, cheese, yogurt and pastries could save your family $20-$30 dollars per day. In addition, it allows you to make efficient use of your limited vacation time by getting going straight away to check off the first itinerary item for the day without taking extra time to find a restaurant and eat. This is one of the easiest ways to practice eating cheaply in Paris without too much sacrifice. Staying in an apartment and cooking your meals will bring the cost of a trip to Paris down significantly. As an unintended bonus, shopping at the lovely outdoor markets in Paris (or even at the grocery store) will give you a much more immersive, authentic experience. We love apartments for this very reason! Groupon France is a great place to look for dining discounts. You do need to plan a couple of days ahead, as the vouchers that you purchase are not usually usable immediately, but this can be a great way to save money on dining. We have also saved money in large European cities by joining a dining club. This is a great restaurant dining club with low monthly feed that you might try. This is another restaurant club. This card gives you discounts at many restaurants in Paris. It costs 27 Euros for three months and gives you 20-50% off or 2 for 1 deals at a variety of restaurants in Paris. If you are traveling with a family, this card could pay for itself after just a couple meals! My final bit of advice is to make sure you plan at least one splurge. You will regret coming to this amazing piece of culinary heaven and not eating something that really, truly makes your heart sing. Set aside enough to eat at a nice restaurant and enjoy some great french food. Towards the end of the trip, we did eat dinner at a moderately priced Paris cafe for about $25 each for a three course meal, and it was WONDERFUL. 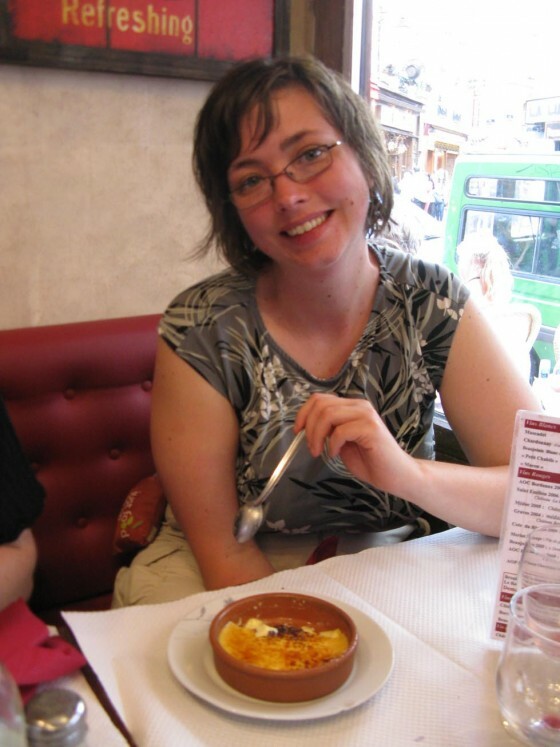 Shanna eating Creme Brulee when we splurged for a nice meal in a french cafe. 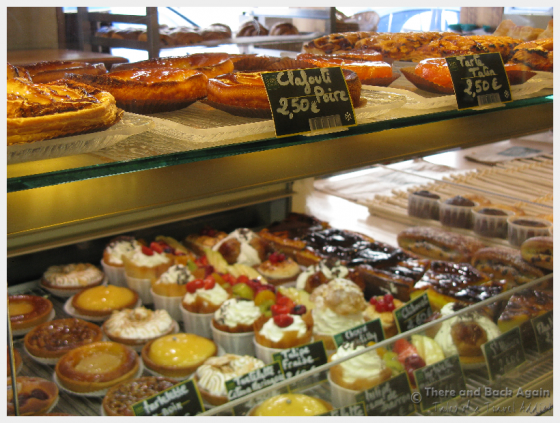 Eating cheaply in paris is only worth it if you make sure to splurge at least once! 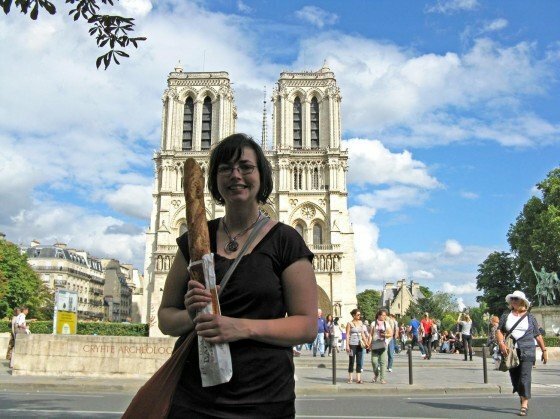 What has your experience been eating in Paris? Do you have any tips or suggestions to share about eating in Paris on a budget? Nice is nice! Escaping on a French Holiday! 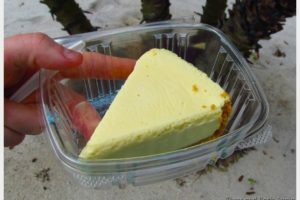 Eating at The Florida Key Lime Pie Company Cocoa Beach – Key Lime Pie MAGIC!